It’s that time of year again, and we have the perfect way to get you in the mood: A free anthology! 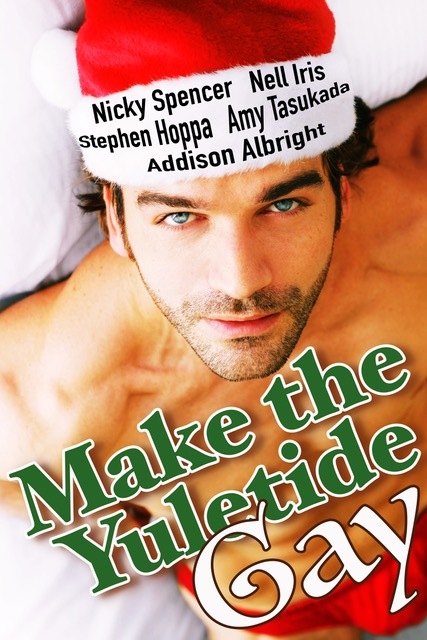 Five holiday stories that are guaranteed to warm your heart, heat up your cold nights, and most importantly: Make your yuletide gay.A Christmas Party to Remember by Nicky SpencerLast Christmas, Cory and Wes made a connection that left them both thanking Santa. But when Cory doesn’t show up for their first date, Wes swears he won’t make that mistake again. This year, can Santa’s magic find a way to bring them back together? Let’s Not Go Crazy by Stephen HoppaThe holidays are stressful enough without Ethan’s boyfriend Nate trying to kill him with Christmas cheer. But Nate’s found a whole new way to torture Ethan when he reveals that he wants kids. Will their conflicting desires tear their relationship apart,or will they find a way to ring in the new year stronger than ever?